Educational and learning toys for kids. You can keep your toddler amused for hours by giving her this fabulous doll to play. 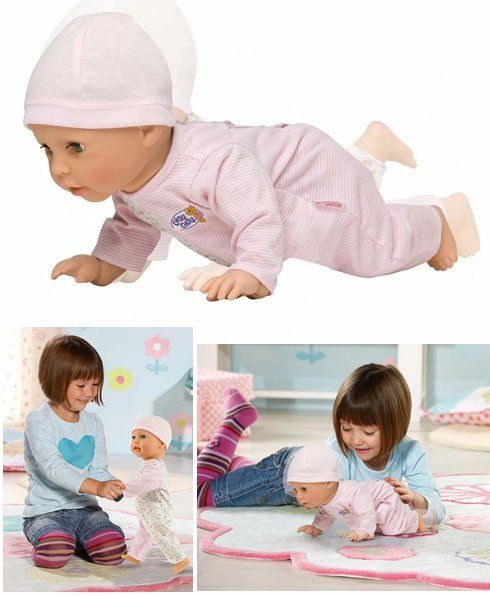 It's Chou Chou baby doll — moves doll, 42 cm in size. It works on 4 batteries of AA type (the set with the doll doesn't contain them). Baby Chou Chou can walk if you hold her hands. So she moves her legs, can crawl and even tries to stand up by herself (but she doesn't manage to do it:)). Besides, she can «pronounce» some children sounds perfectly. 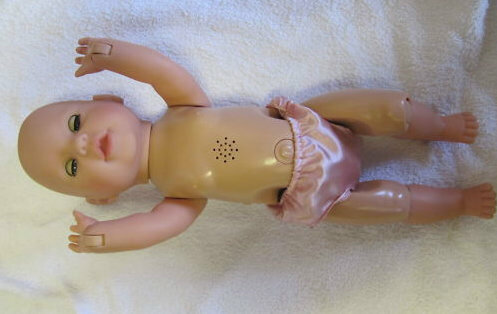 Being pressed on the belly, the doll laughs.